Life is all about learning. We get better each and every day through experiences, process them, create best practices, and then hopefully apply and execute them in our day to day life. I choose to work in tech because it’s a lifestyle. It’s not “work” and “play” to me because it’s all the same. I enjoy my job in the office as well as at home, on weekends, and vacations. How “work” manifests itself may be different, but at the end of the day, it all comes down to experiences. In my world, the world of Modern SaaS sales, I create experiences that help build my expertise and allow me to become better than I was the day before. This self-improvement can be anything from going to a business development event after work, taking a coffee meeting on the weekend, helping other fellow entrepreneurs and salespeople, and also absorbing knowledge from my peers and predecessors. I like to think about this questions as the beloved open-book exam. Some of the pupils will know better and prepare a “cheat-sheet” while others will wing it. In the startup world, we’re typically taught just to wing it (pun intended), jump off the cliff, and build wings on the way down. But if you could learn to pick up on the signs, the indicators that there’s a cliff up ahead, and do research on how to quickly build those wings mid-flight, the chances are that you would. And herein lies the challenge of the startup world. You hear it so many times from VC’s, Angel Investors, accomplished entrepreneurs, CEOs, etc. 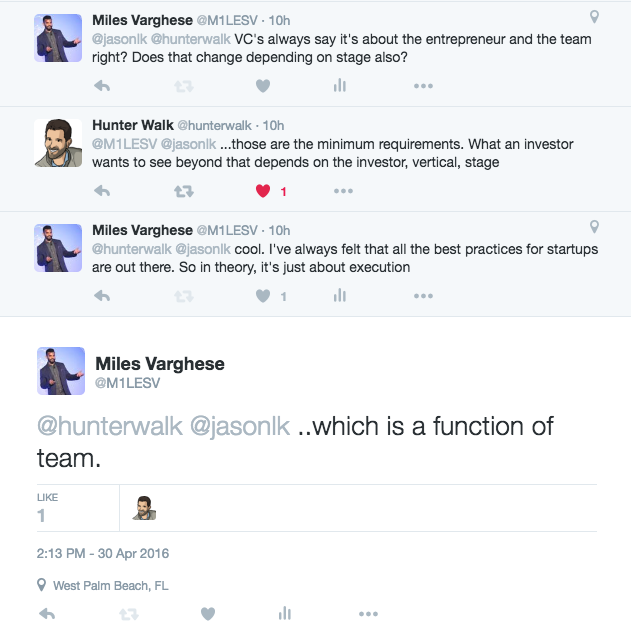 that it’s about the individual entrepreneur and the team. It finally clicked for me, two years into my adventure at LiveNinja. Success isn’t about who has the greatest product. Execution determines your success – and execution is a function of your team.